Extremely cold temperatures across most of the country means plenty of space heaters are working overtime. Please pay close attention to your space heater’s surroundings. Check out these few tips below for more info. 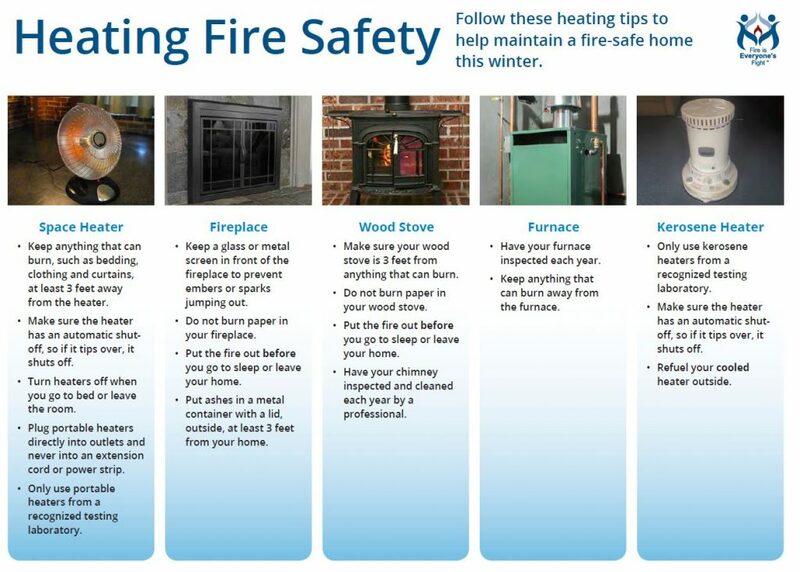 From 2013-2015, an average of 45,900 home heating fires occurred in the United States each year. These fires caused an annual average of approximately 205 deaths, 725 injuries and $506 million in property loss. Home heating fires peaked in the early evening hours between 5 and 9 p.m. with the highest peak between 6 and 8 p.m. 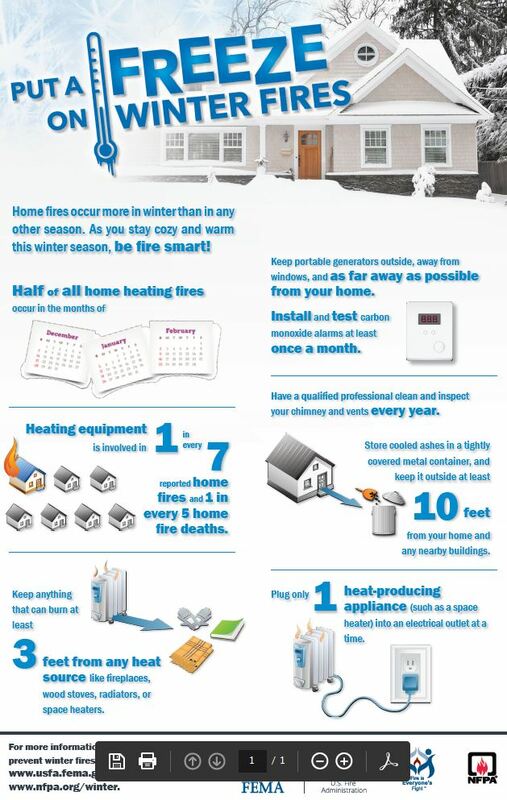 This four-hour period accounted for 29 percent of all home heating fires.